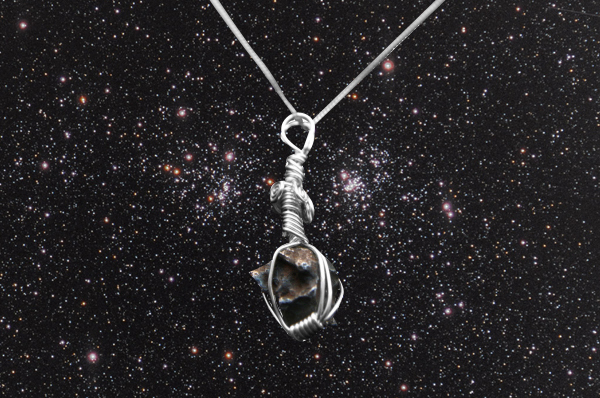 This great little Pendant is crafted from a genuine specimen of the Campo Del Cielo iron meteorite. It is encased in a sterling silver wire cage and strung from an 18 inch solid silver curb chain. Made to order so may differ slightly from the one shown.